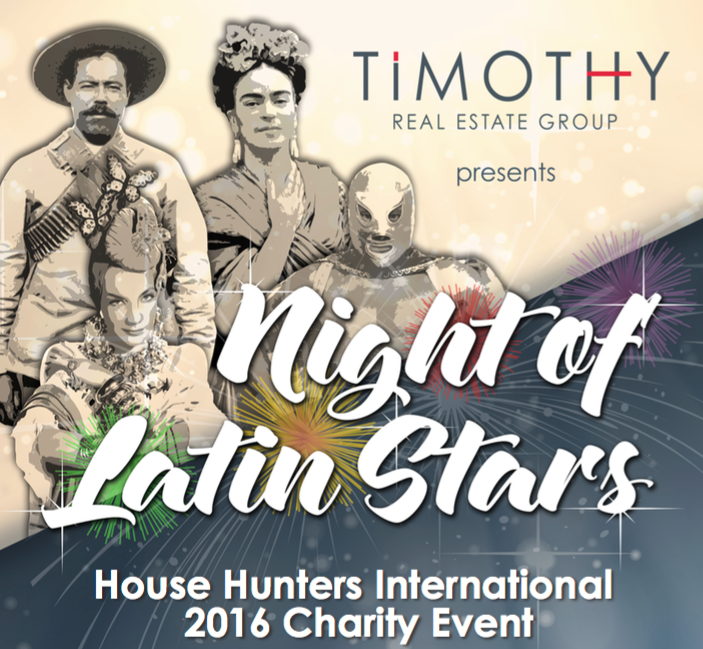 Timothy Real Estate Group recently announced “Night of Latin Stars,” a themed charity event to take place at Casa Karma in colonia Conchas Chinas on Monday, November 21. The event is a collaboration between the renowned real estate company and House Hunters International, a reality show produced by HGTV. Since 2012, Timothy Real Estate Group has organized this event in collaboration with the HGTV, which has filmed episodes in Puerto Vallarta several times. The event has been held every two years to assist local non-profit organizations by celebrating a dinner party with a live show. 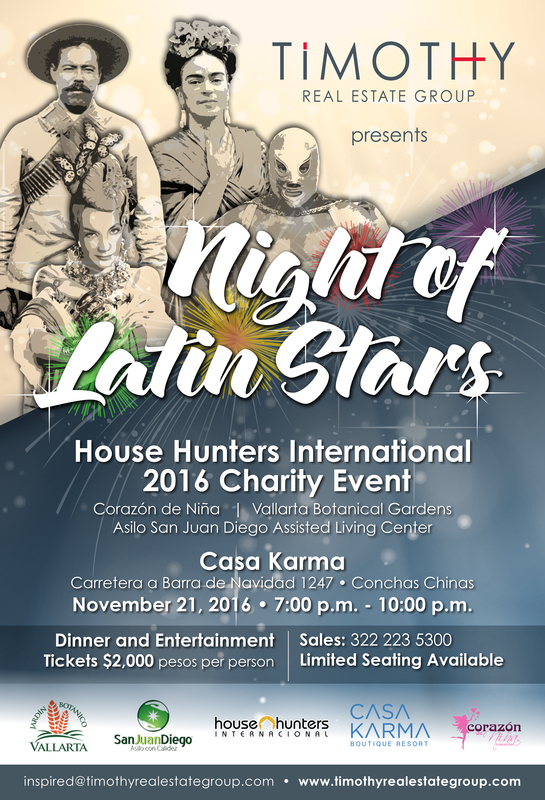 This year’s beneficiaries are the Vallarta Botanical Gardens, San Juan Diego senior assisted living center and Corazón de Niña Foundation. “Night of Latin Stars” feature Latin celebrity impersonators such as revolutionary general Pancho Villa, legendary singer Pedro Infante, lucha libre wrestler “El Santo,” artist Frida Kahlo and astrologer Walter Mercado. It will also include fireworks, live performances, music and private fortune telling sessions with Mr. Mercado himself. Tickets are $2,000 MXN and are available at the Timothy Real Estate Group main office located in Riviera Molino Plaza in colonia Emiliano Zapata. For more information, please visit its Facebook Page.